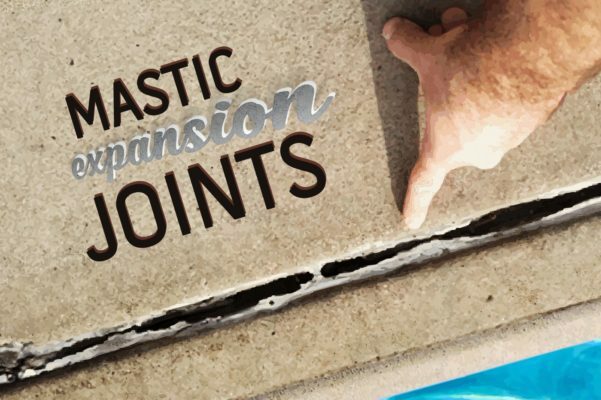 The phrase “mastic expansion joints“ just conjures up images of unparalleled glamour, doesn’t it? Hard-working, waterproof seams are essential – designed to allow concrete pool decks, driveways and sidewalks to safely expand and contract. When properly maintained, they add protection and safety while eliminating insect/weed invasion and dangerous trip hazards. Most importantly, mastic expansion joints prevent water penetration beneath concrete which erodes the base soil – absolutely crucial to avoid cracking and structural damage to slabs and pools. BAD NEWS: Like everything else, pool caulking, sealant or mastic has a life expectancy. It dries out and deteriorates in a process accelerated by chlorine chemical exposure and weathering. GOOD NEWS: Carasso specializes in repair and maintenance of mastic expansion joints, always professionally executed by our own experienced staff – never sub-contracted out. Skip the middleman AND ensure a quality job is done right the first time! Contact Bill or Dave to help prevent costly future repairs and keep your HOA’s assets in fantastic-mastic shape. "don't know how I got so lucky ..."
"Thank you for all the extra care you put in your work and for making our community look as good as it does! I don't know how I got so lucky having your company work here but I am very appreciative that you are."